Situated 500m from main road in rugged landscape, this house is a haven of peace and tranquility. Finished to the highest standard with solid wood floors throughout. It has all the mod-cons and all bedrooms have their own bathroom/shower room. This is one of the nicest, cleanest and quietest cottage we have ever stayed at. When we entered the cottage, we immediately felt comfortable and said "it´s such a pity that we did not book it for a longer period". The cottage was very comfortable, cosy, spacious, perfectly equipped, extremely clean and the location is totally peaceful and secluded. The owner was very kind, welcoming and helpful, he answered my emails promptly and friendly and when we met him on arrival he gave us lots of suggestions what to do and see in the area. We will definitely recommend this beautiful cottage! A beautiful house for a perfect vacation. It was very clean, well maintained and the kitchen was fully equipped as needed. The owners were very kind and welcoming, we were given help in any aspect we that was needed. "The House is situated in a beautiful environment. The owners are super friendly and the House is very well maintained. A real winner!" "This was a beautiful, quite, very clean cottage, just as it was advertized. All the amenities were of high quality and well kept. The owner was helpful and easy to deal with. Thanks for the wonderful holiday !" 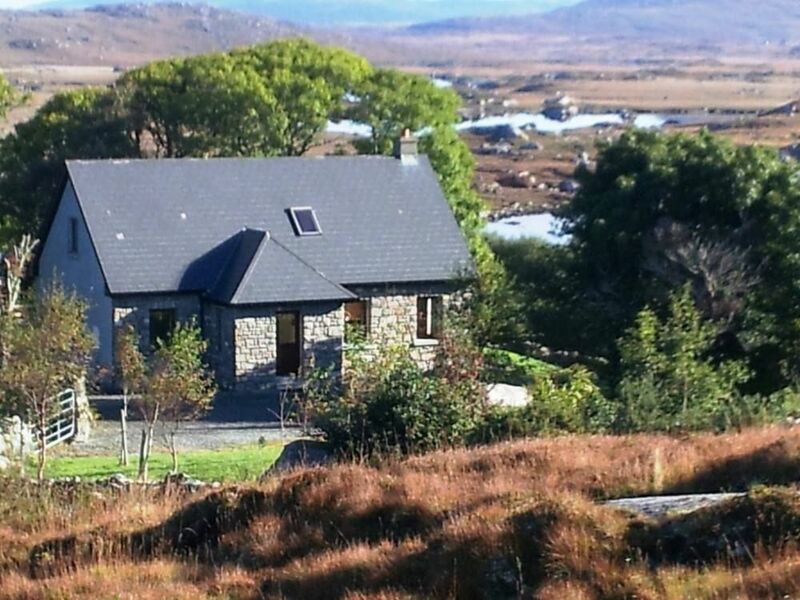 "lovely place to stay in Connemara, if you're the "away from it all" type. Gorgeous sceneries changing all the time with passing clouds and the occasional sunshine. The cottage itself is clear and spacious, perfectly equipped with all you could think of needing on holiday, and Tomas will be there to help you on things to do and places to see. Nice walks from the doorstep. Don't miss the Aran islands on a sunny day. Will definitely recommend the place. Car needed." "Wonderful cottage in green and calm area. Spacious cottage, well appointed and very comfortable. Tomas (the owner) is very friendly and good advice, and is concerned with the comfort of its tenants. I recommend this cottage, you will not be disappointed"
Take N59 (Clifden road) from Galway. At Maam Cross (41.8km) turn left onto R336. Continue onto Coast Road - R340 towards Glinnchatha (Glencoh) (54.3km).